Dozens of laptops will be on sale, but they're not all worth the money. Consumer Reports picks HP's best deals. HP’s Black Friday laptop deals will provide shoppers with plenty of models to choose from. The deals, which go live on Thanksgiving Day on HP's website, include everything from lower-end models that don’t score particularly well in our ratings to devices that rank among the best in their class. There are also a number of dedicated gaming laptops for people who demand the best performance while playing video games such as Fortnite or Overwatch. Retailers have recently been selling this higher-end laptop for close to $1,000, so this is a good deal. It’s a 2-in-1 convertible, which means you can fold the display around to use it more like a tablet. You can also fold it into “tent mode” to present information to nearby people. The specs, which include a latest-generation Intel Core i5 processor, 8GB of memory, and a 256GB solid-state drive, are more than enough to handle everyday tasks like browsing the web, working in Excel and other business apps, and watching high-resolution video. When rating similar models in the past, our testers were largely impressed. With their long battery life and lightweight construction, those laptops made for ideal travel companions. HP’s “Laptop” line features devices in the low range to midrange in both performance and price. This particular model has recently been selling for around $230, making this another good deal. But keep in mind that the laptop is best suited for consumers with very basic needs, such as browsing the web and using word processing programs. It has a lower-end AMD processor, 4GB of memory, and 32GB of eMMC storage. (EMMC storage is similar to solid-state but slower, according to our testers.) That’s not much storage space, and it may prevent you from keeping many digital photos, songs, or videos on the computer. A similar model performed below average in our tests, but given its strong portability score—the battery lasted a full work day and the device weighed close to 3 pounds—this model could be appealing to on-the-go consumers. Chromebooks run the Chrome operating system (as opposed to Windows or macOS), which makes them best for consumers who primarily use web-based apps like Gmail and Google Docs. This model—available for around $260 at other retailers—gives you a lower-end Intel Celeron processor, 4GB of memory, and 16GB of eMMC storage. That’s not a ton of space, but the idea with Chromebooks is to store your documents in the cloud, eliminating the need for a big hard drive. Our testers were impressed by just about every aspect of this model, including battery life (13.5 hours) and weight (3.4 pounds)—except the display, which has poor color reproduction and narrow viewing angles. For those who prefer a 2-in-1 convertible, the HP Chromebook 14 x360—available for $450—is also a good deal. This is another low range to midrange laptop that's fine for everyday tasks but not ideal for heavy-duty processing jobs, such as editing 4K video. That's a nice price, though. Other retailers are selling the model for more than $500. The 15z has a lower-end AMD processor, 8GB of memory, and a 1-terabyte hard drive. That’s a lot of space, but hard drives are slower than solid-state drives, so you may find yourself waiting a bit longer for files to be copied or for big documents to fully load. Its sluggish performance is partly why a similar model performed only okay in our ratings. Poor display quality also held it back. 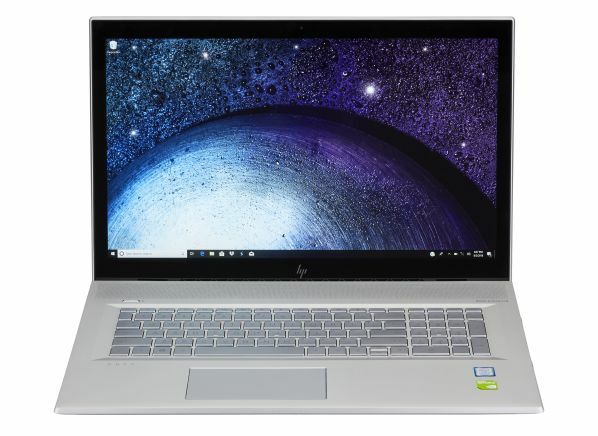 HP’s Envy line laptops also occupy the midtier, with this 15-inch convertible available for almost $900 at other retailers. Here you’ll find a latest-generation Intel Core i5 processor, 8GB of memory, and a 1-terabyte hard drive. Again, that’s a lot of space, but the laptop may work more slowly than a model with a solid-state drive. HP Envy laptops have generally done well in our ratings, with a similar model scoring highly in just about all categories. At almost 5 pounds, however, it’s a bit heavy. This Spectre is a convertible and one of the most powerful non-gaming laptops offered in HP’s Black Friday sale. The sale price may not seem cheap, but the laptop usually sells for close to $1,400. Like the 13-inch Envy above, this machine packs a recently released Intel Core processor. In this case, though, it's not the i5 but the more powerful i7. You also get 8GB of memory, a 256GB solid-state drive, and a 4K display—those are great specs. (A 4K display can make it easier to edit high-res photos and videos, but it will tend to reduce battery life.) When we tested a similar model, it was among the highest-rated laptops of its size. Other retailers carry this laptop for close to $900, so this is a good savings. 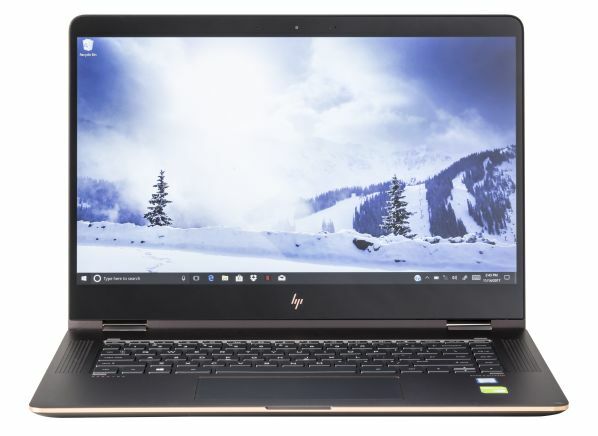 Like other Pavilion laptops, which usually sit on the higher-end of HP’s midrange lineup, this one has attractive specs: a latest-generation Intel Core i7 processor, 8GB of memory, and a 256GB solid-state drive. It’s a traditional notebook rather than a 2-in-1, which partly explains why it’s a bit less expensive than the Spectre above, despite similar specs. A similar model impressed our testers. This model is on the heavier side, though, at almost 5 pounds. Omen is HP’s new line of dedicated gaming computers that feature high-end components and aggressive designs characterized by sharp edges and bold colors. This 15-inch model typically sells for close to $900, so this is a decent deal. But you need to know what you're getting. Gaming laptops like this are powerful machines—this one has the latest-generation Intel Core i5 processor, 8GB of memory, both a 1-terabyte hard drive and a 128GB solid-state drive, and a dedicated graphics card—but at the expense of weight and battery life. We tested a similar Omen (ours was 17 inches) and gave it great scores on just about every factor, except portability. But if you have a gamer on your holiday shopping list, this may be a very good deal. As you can see from our comprehensive laptop ratings, there are few 17-inch laptops on the market. They may not be popular, but for some consumers, they can be a great choice. This model typically sells for close to $600, so this is a good deal. The specs are decidedly midtier—a midrange AMD processor, 8GB of memory, and a 1-terabyte hard drive. One of the benefits of having such a large laptop, however, is that there's room for a DVD drive, a rare feature for a laptop in 2018. We didn’t test this model, but a similar model we tested did fairly well in our ratings, with the biggest knock against it being relatively disappointing battery life—but that tends to come with the territory if you want a laptop this big. 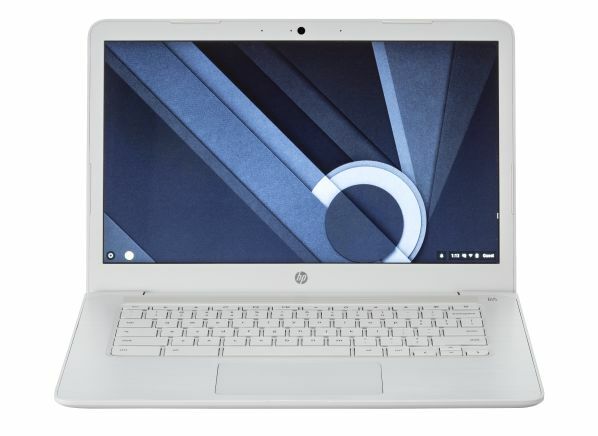 This HP Envy is large, has relatively high-end specs, and is being offered for roughly $600 less than its usual price. At $1,100, it's not cheap by most people's standards, but that's a good price for a laptop with the latest-generation Intel Core i7 processor, 16GB of memory, and 512GB of solid-state storage. You can store a good-sized media library right on the laptop, without needing to resort to external drives or cloud services. We tested a similar model, and it scored quite well, with our testers really only taking issue with portability. The HP Envy 17t weighs almost 7 pounds, and its battery lasts only a bit more than 6 hours. But if portability isn’t a priority for you, this could be a good laptop that will keep up with your needs for years to come.